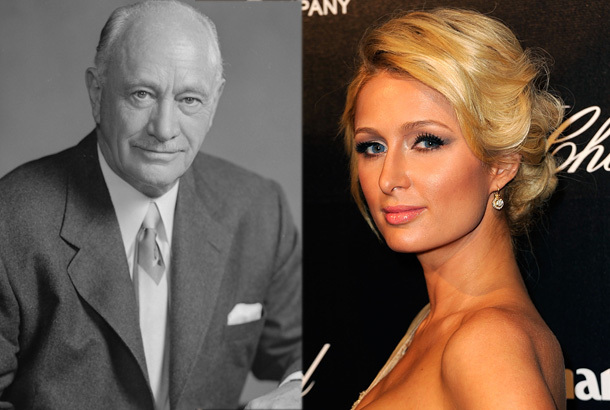 Paris Hilton’s great-grandfather, Conrad Hilton, started the now famous hotel chain (Hilton Hotels). He made an immense amount of money. Conrad Hilton fought during World War 1. He was not born from wealth so through great trial and error he learned the value of intensely hard work. He focused his deliberate work ethic into an idea he had for affordable hotels. He succeeded . During the Great Depression, however, he lost most of his wealth. He again took initiative and began to work in one of his former hotels as a manager. After that time, through great challenge, he bought back his hotels and never stopped growing. He grew up in the church but disregarded his Faith through most of his life. 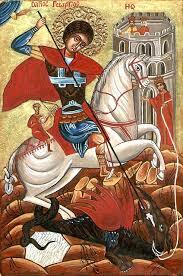 As he approached the latter portion of his life, he focused on Christ once again and began to attend church and give handsomely to charitable causes within the Faith. Unfortunately, he was not able to transfer his renewed commitment to Christ to his children. He had three wives and four children (one of his wives was Zsa Zsa Gabor!). His second son, Barron, is the grandfather to the globe trotting model, Paris Hilton. Upon Conrad Hilton’s death in 1979 (he was 91), he had left the bulk of his fortune to the church, his Charitable Foundation and to related Christian charities. He left his siblings, his children and his relatives gifts of $50,000 to several hundreds of thousands dollars each. In addition, he had also left some stock options to his children. Conrad Hilton’s son, Barron Hilton, did not agree with his father’s Will and proceeded to spend the next 10 years contesting it in in court. He eventually won and got the donations given to the Church cut by 2/3rds, while retaining control of the bulk of his father’s fortune. Today Barron Hilton’s wealth hovers at 2.5 billion dollars. Can you imagine spending almost a decade in court fighting against the wishes of your own father? It’s not like Conrad Hilton squandered his fortune, he understood what the best use for his wealth was after his death: not to be given to his ALREADY WEALTHY SONS, but to the worldwide work of Christ. Barron Hilton was not starving and living in a hovel during the 10 years of fighting in court. He had a lot of money… I guess it must not have been enough. So, rather than build up his own personal wealth through hard work and ingenuity (like his Dad), he decided to STEAL THE MONEY FROM THE CHURCH. And that’s what it was. On another note, I suppose Conrad Hilton was so busy building his empire of cash that he had no time to build his family… to make them a lasting empire of good will to the earth. And now the Hilton name is associated with greed, materialism and the antics of globe trotting trust fund children. Baron Hilton is 87 years old. A number of years ago he made an announcement that he will be diverting 97 percent of his wealth to his father’s charitable foundation. I don’t know when that will occur. He was also quoted as saying that he is embarrassed by his granddaughter Paris’ behavior and believes it has sullied the family name. But, hey, isn’t she fulfilling the family name? You know, living a life a debauchery and greed while young, but coming to your senses when you are old?